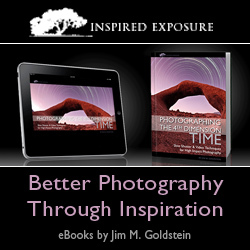 If you love photography and are as passionate about it as we are, help us spread the word about Inspired Exposure Photography eBooks. 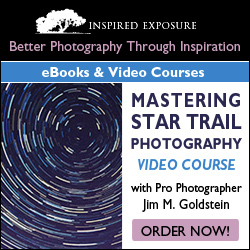 As an affiliate you'll earn 35% on every PDF eBook sale you refer. That's a pretty nice perk for something you might be inclined to do anyhow on your blog, Facebook or Twitter account. Look for your activation email and then copy and paste the activation code into the activate field on the e-junkie website. Complete the Profile Settings section, most importantly including the email address associated with your PayPal account. We will send your affiliate earnings by the 7th of every month for the previous month. In the Manage Your Affiliate Account section, select Get Affiliate Code. 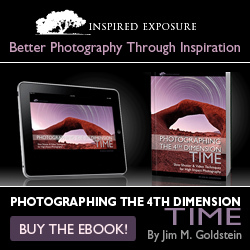 Select "Inspired Exposure Photography eBook" (our publisher account) and then "Get Affiliate Code ". Copy and paste your affiliate code (or extract the URL) to your website, blog, Facebook, Twitter, Google+ accounts or else where. 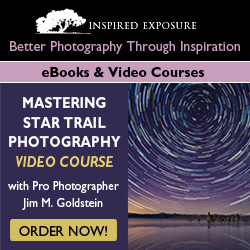 Anyone clicking on your affiliate link that makes a purchase will net you 35% of the sale. For complete help signing up as an affiliate refer to help for affiliates at e-Junkie. Spread the word using the banner graphics below. Add them to your blog and web site, but don't stop there if you have a social media profile feel free to add them there too. Where ever you see fit the banner images are here for you to use. Just right click on the image of your choice and "Save as…"